Tecmo Koei has finally unveiled the release date for Yaiba: Ninja Gaiden Z. After announcing the title in 2012, Tecmo Koei has been relatively quiet about Yaiba: Ninja Gaiden Z. But today the company broke its silence to reveal the game's release date. Yaiba: Ninja Gaiden Z, a game that's being directed by Mega Man creator Keiji Inafune, is scheduled to hit North American shelves on March 4th. Currently, Tecmo Koei is planning to release the title on PlayStation 3, Xbox 360, and Steam, but I'm forced to wonder if the company has secret plans for the Xbox One and PlayStation 4. 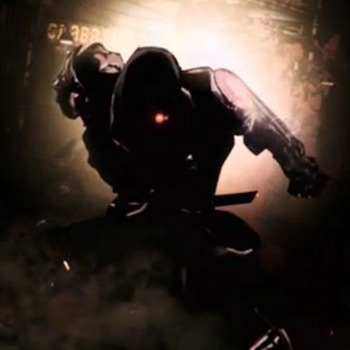 If you're not up to speed on Yaiba: Ninja Gaiden Z, here's what you need to know: The protagonist, Yaiba Kamikaze, is an undead warrior with an insatiable lust for killing and an arsenal of cybernetic weaponry. Also, most of the gameplay will be dedicated to killing zombies and seeking revenge. If that doesn't pique your interest, nothing will.